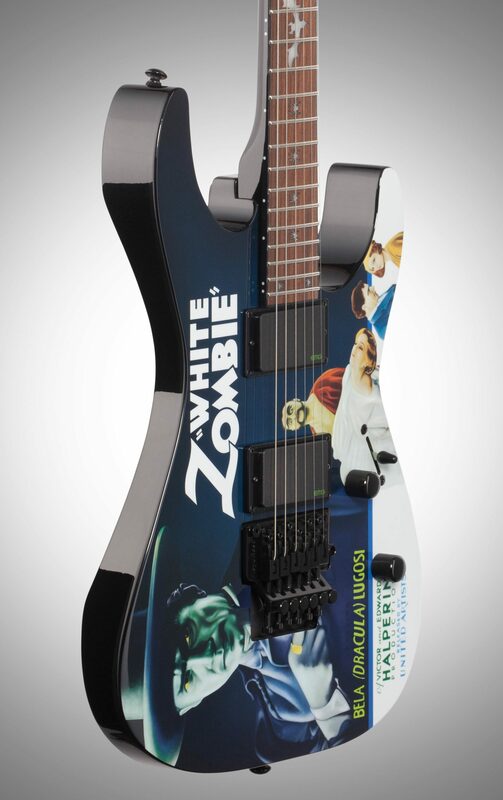 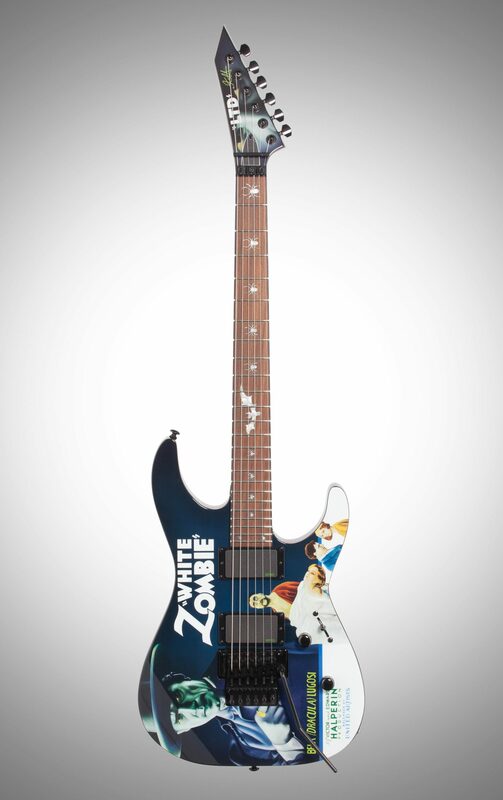 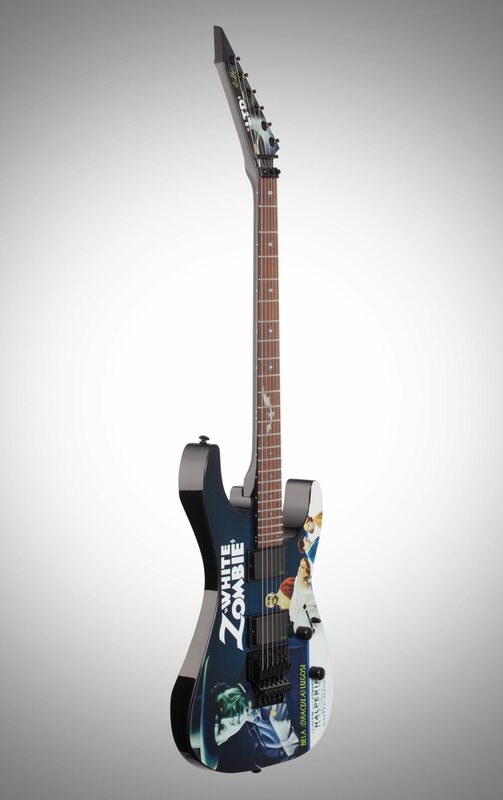 ESP LTD KHWZ Kirk Hammett White Zombie features Custom Bela White Zombie graphic on the Alder body and custom bat inlay at the 12th fret. 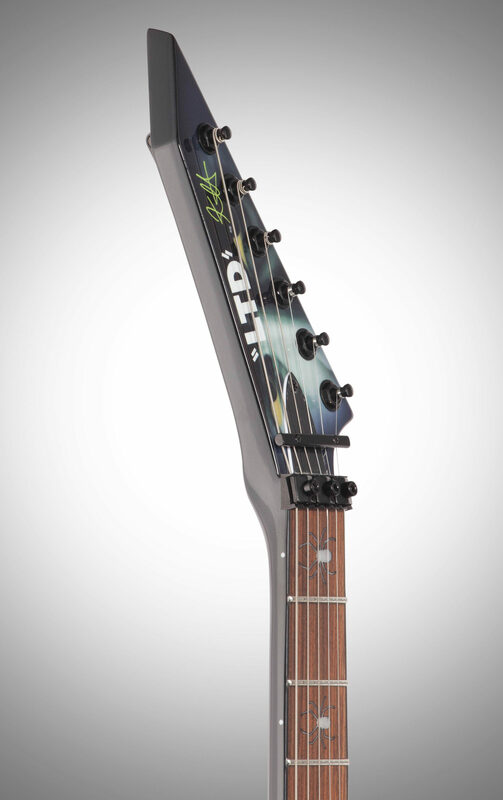 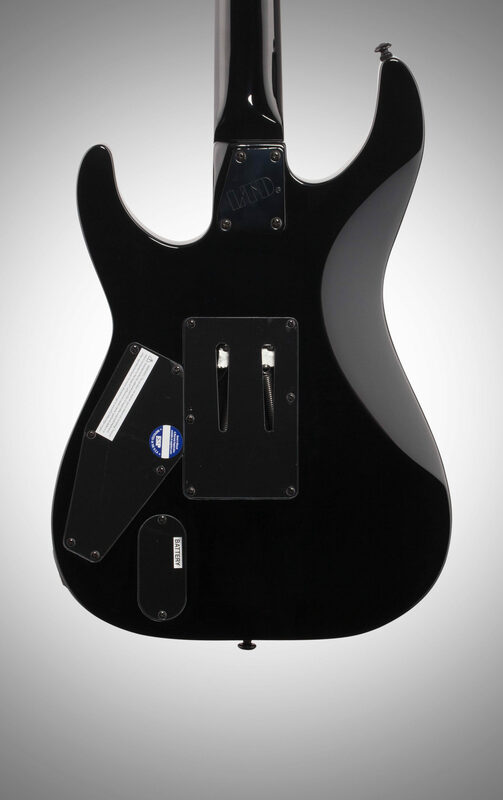 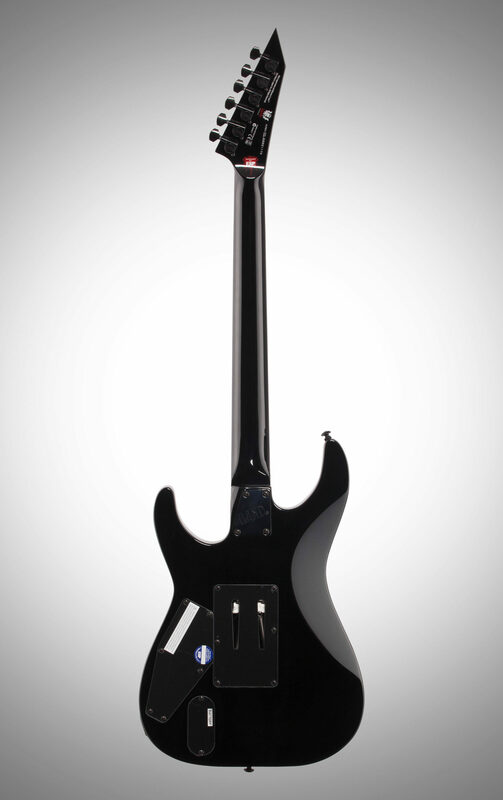 Also features Floyd Rose bridge, EMG KH Bone Breaker pickups, Maple neck with Rosewood fingerboard, 42mm locking nut, black hardware, case included. 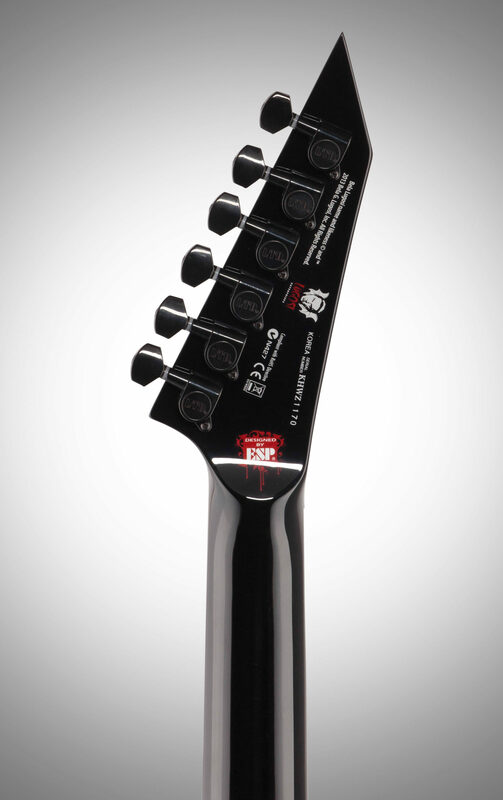 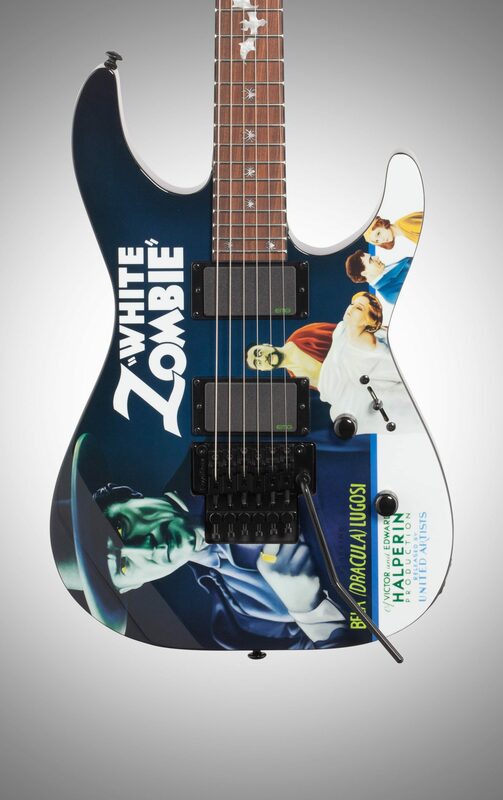 "ESP Kirk Hammett White Zombie is solid."